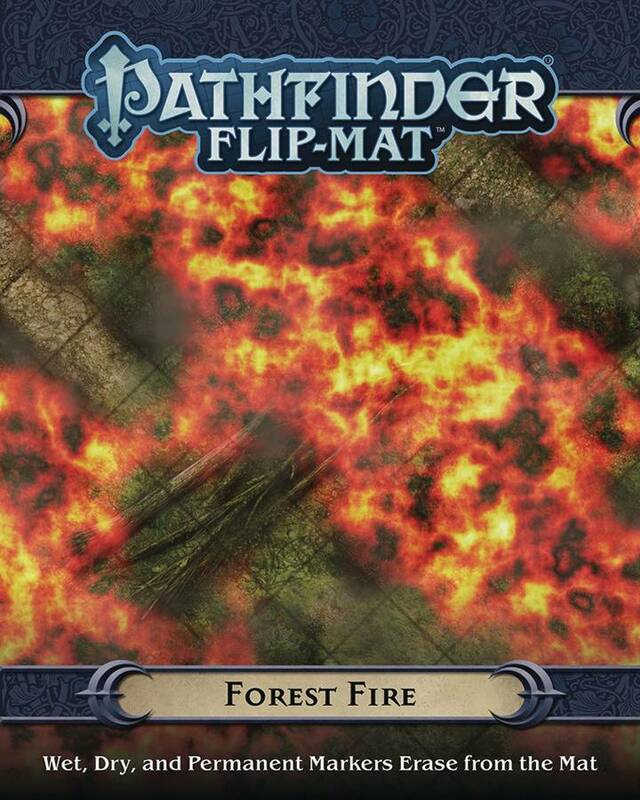 Whether you are braving scalding flames to save victims trapped in a raging inferno, or fleeing from the devastation wrought by a dragon, Pathfinder Flip-Mat: Forest Fire has you covered. The two-sides of this Flip-Mat detail two different forest fires, one in a rocky maze on a mountainside and another around a secluded forest outpost. Don't waste your time sketching when you could be playing. 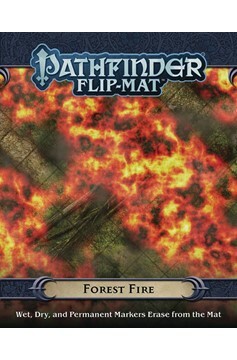 With Pathfinder Flip-Mat: Forest Fire, you'll be ready next time things get a little too heated in the woods!.